Walla Walla Valley’s rich winemaking history dates back to 1859, when A. B. Roberts established one of the area’s first vineyards. Roberts grew nearly 80 varietals of European grapes, many of which had their origins in Champoeg, Oregon. The wine industry in Walla Walla Valley took off quickly in the 1860s and continued to gain momentum moving into the 1870s, when a lesser-known gold rush in Idaho attracted miners traveling through the area. With so many successful vineyards, local growers and winemakers were able to sell grapes and wine along with more traditional supplies to passing travelers. Early vineyards in the area harvested grapes in amounts reaching 50 tons or greater. By 1882, locally produced wines were available for purchase in all 26 saloons throughout Walla Walla. Walla Walla typically experiences cycles of deep freezes approximately every 6 years, even today. In 1883 and 1884, deep freeze conditions caught growers off guard. The cold almost completely wiped out local grapes throughout the valley and brought the industry to a near-halt. These freezes still harm the local wine industry, but growers have learned that planting at higher elevations and burying shoots go far in mitigating the damage. Adding to the devastation, the Idaho Gold Rush ended by the turn of the 20th century, which also put a damper on the local wine trade. After more than a decade of fighting to maintain enough of a business to keep the vineyards functioning, Prohibition was passed. While this dealt a huge blow to the wine industry, a secretive cottage industry of home winemakers emerged. Citizens were allowed to produce up to 200 gallons of wine per year without securing a permit. A majority of the grapes came from Walla Walla, but many also came from areas such as Sunnyside, Marysville, and Stretch Island. At the end of Prohibition, there was an upsurge of Zinfandel winemaking in Walla Walla. The grapes were “imported” from California by a group of Italian winemakers, and thus the wine industry in the area was reborn. There were numerous attempts to develop a commercial wine industry in the area going into the 1950s, but in 1955, another deep freeze shut down many of those attempts. In 1977, the first successful commercial winery emerged, and this opened the door for others to form and enjoy enduring success. 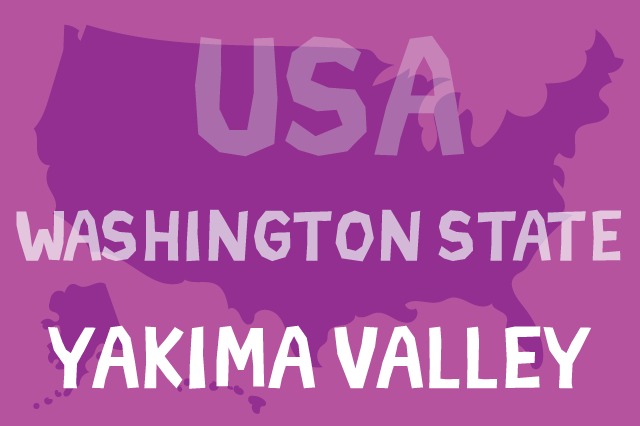 In 1984, Walla Walla Valley became a federally recognized American Viticultural Area (AVA). Back then, there were only four wineries and a scant 60 acres devoted to vineyards in the entire valley. Today, there are over 175 wineries flourishing throughout Walla Walla Valley. 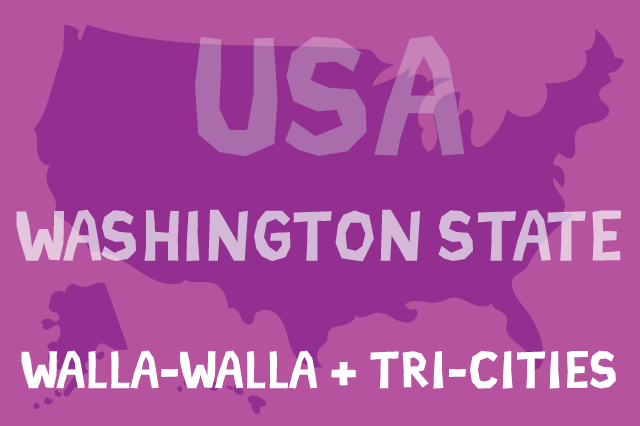 Driving just an hour out of Walla Walla Valley, one enters the winemaking region of Tri-Cities, located in the center of the Pacific Northwest. Those traveling into the area by car will find it to be an equal distance from both Seattle, Washington, and Portland, Oregon – about 3.5 hours. The Tri-Cities area gets an average of 300 days of sunshine per year, making it not just a great place to visit (great weather is all but guaranteed), but also a great area for growing a variety of wine grapes, many of which were acquired from sources in the Walla Walla Valley, extending the recent success of that area and helping spur on the wine industry elsewhere in the state. Columbia Valley, located within the Tri-Cities, is situated on the same latitude as France’s Bordeaux region. Its rich volcanic soil makes for a very successful growing environment and conditions that are practically identical to Bordeaux. It goes without saying that one can find excellent Bordeaux blends and varietals in this area, along with Riesling, Chardonnay, and more. There are more than a dozen wineries within the Tri-Cities and close to 200 more within a wonderfully scenic hour’s drive into Walla Walla and Yakima valleys. When looking at California’s wine regions, one thing is clear: Size really doesn’t matter. 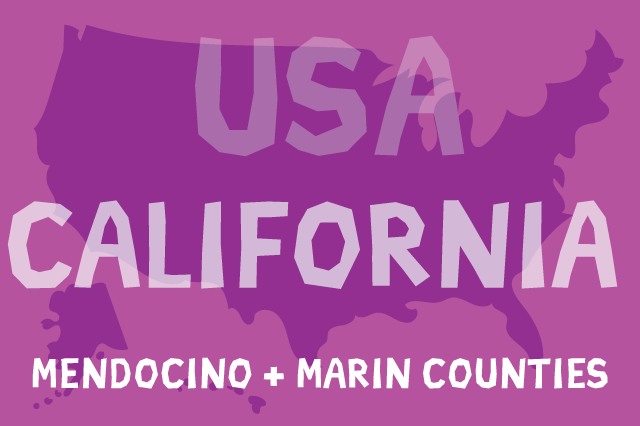 Some of the best grapes and wines come from smaller places, as evidenced by today’s two stops on our journey through California Wine Country: Mendocino and Marin counties. 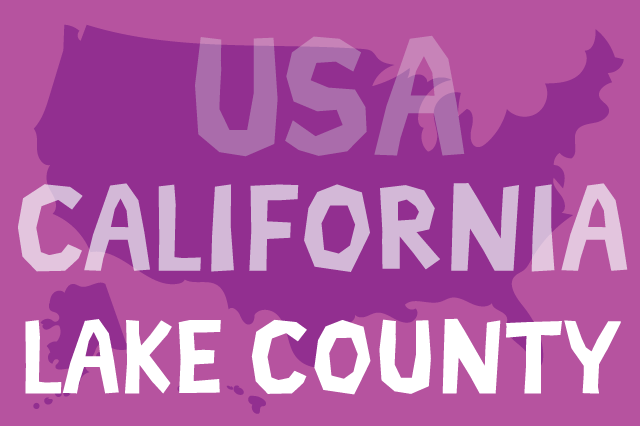 The western part of California’s Lake County is what comprises the North Coast American Viticultural Area (or AVA). It includes the Clear Lake AVA, which has nearly 170,000 acres of land all by itself. Within the county, there are 8,260 acres dedicated to growing wine grapes. Over the next few years, that number is expected to double as a number of new vineyards start being planted.